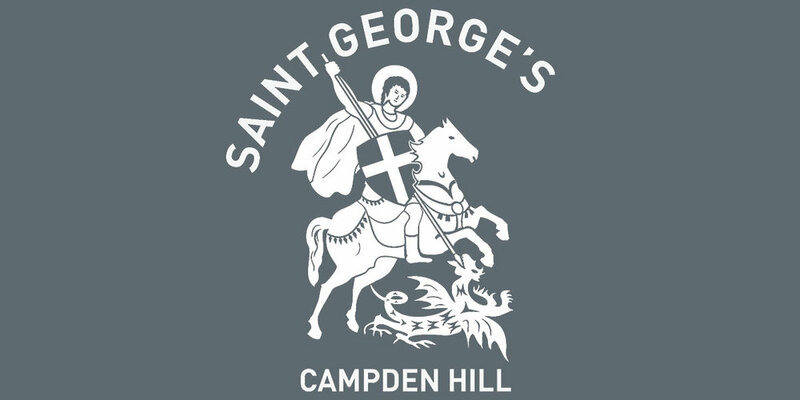 A local Kensington man built St George’s. His name was John Bennett, a builder of Campden Hill. His son George was to be its first vicar when the church was consecrated in 1864. The architect was Enoch Bassett Keeling. He was master of the short-lived fashion, “Eclectic Gothic”. This style made a daring and inventive mix of shapes, designs and colours derived from various mediaeval sources. St George’s, soundly built and much admired at the time, must have presented a dazzling interior to its early congregations. Succeeding generations have put a stop to all the gothic design. Most of the decorations were painted over or covered. Subsidence at the altar end put paid to the big window and reredos. Now, in our time, much has been done to restore the interior to its former glory. St George is the patron saint of England. He is shown on one of the stained glass windows in a part of the new community area. Vivid patterns of polychrome brick – red, blue/black, and yellow - faced the interior walls of the church. Intricate cast iron columns supported the arches. Beyond the altar, choir stalls lined the chancel and light flowed in through the stained glass window above a richly sculptured reredos, bringing a glow to the red and green and gold of the painted rafters. Little remains today of this decoration. The refurbishment of the interior took several years, during which the congregation continued to worship in a side aisle. What has been done to restore the church? Phase One called for the refurbishment of the nave. This was finished in 1995. The cladding around the pillars was removed, and the original cast iron revealed, and the pillars were painted terra cotta. The remainder of the building was painted in shades of white. This phase also included cleaning the exterior of the church, but the condition of the brickwork and stone was worse than expected and this delayed completion. Our intention has always been to deliver the church to succeeding generations and ensure its future. The community space provides a meeting place for local groups supporting the work of the church, and consistent with its mission and outreach to the community. Refurbishment must not merely return a building to its original condition, and restore the detailing. It must produce a smooth blend of conservation and suitability for modern day use. A gentle ramp for the convenience of the infirm now leads to glazed, draught proof doors. A fine new space has been opened up at the entrance to the church. There is a counter for light refreshments. The existing gallery above the porch has been extended forwards over the community space, looking down on the worshipping area. 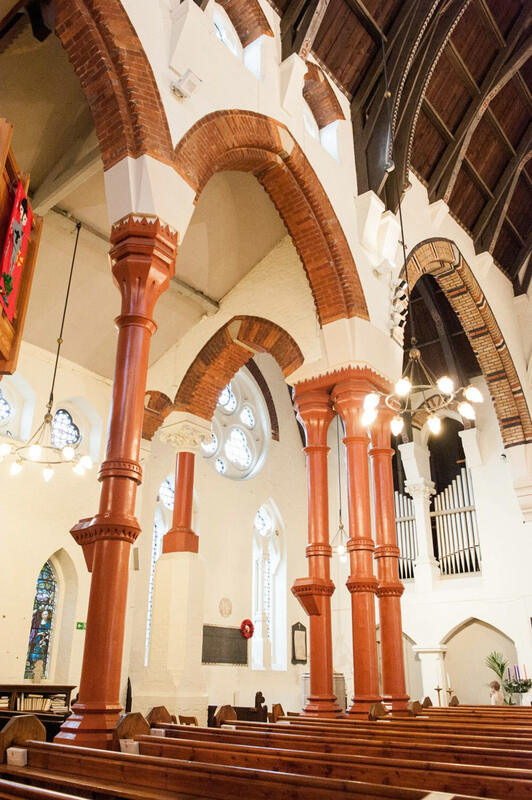 This provides extra seating for an expanding congregation, for big weddings, school carol services and meetings. There are rooms for counselling, for community use, and for Sunday School. 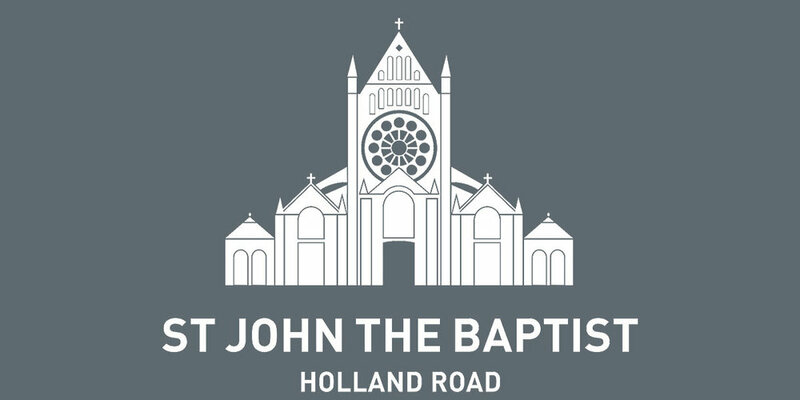 Thus we hope to retain the best of the old, whilst turning St George’s into a thoroughly useful space, not only for its intended mission and evangelism, but as a vehicle for service in the community.